Gov. Bill Walker proposed a "compromise fiscal package" on Monday with a sharply reduced income tax in an effort to break the state Legislature's logjam over a budget and deficit-reduction plan. An income tax has been the chief sticking point in the budget fight between the largely Democratic House majority, which wants it, and the Republican-led Senate majority, which doesn't. Walker wants each side to make concessions — the House by accepting an income or head tax that would raise $100 million instead of the $700 million originally proposed by House leaders, and the Senate by approving one at all. "Everyone's going to have to give a little," said Grace Jang, Walker's communications director. But with a potential government shutdown looming July 1 without an approved budget, and less than two weeks left in a special session convened by Walker, his plan didn't appear to do much to budge the House majority from its position. House leaders said Walker's compromise proposal would go nowhere in their chamber, arguing that it's the Senate's responsibility to come up with a package that fully balances the budget. House leaders say their own proposal, with the $700 million from income taxes, would close the deficit within three years, while Walker's plan would leave a $300 million gap. "I'll be quite blunt about this: As far as the House majority caucus is concerned, I believe this plan of the governor's is dead on arrival," Anchorage Rep. Gabrielle LeDoux, one of three Republicans in House leadership, said in a phone interview Monday. 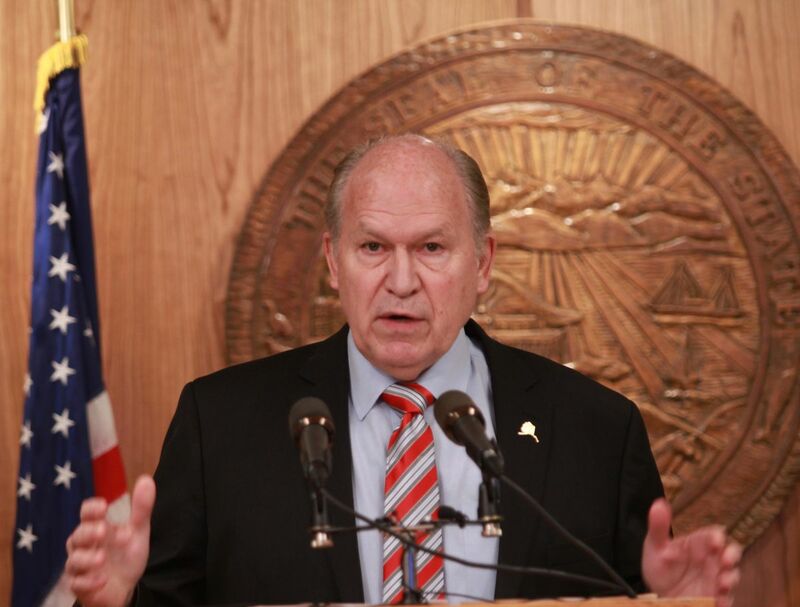 "We don't think that the plan proposed by the governor protects Alaska's fiscal future." Three members of Senate leadership didn't return requests for comment. The new tax proposal is modeled on the education head tax from Fairbanks Republican Sen. Click Bishop — though because Bishop's legislation is projected to yield $65 million, it would likely have to be tweaked to generate the $100 million Walker wants. As originally proposed, Bishop's Senate Bill 12 would take more from people with higher incomes. But as a simplified tax, it asks for a fixed contribution from each tax bracket instead of the percentage of earnings that would be taxed under the House's proposal, which the Senate voted down last month. People earning less than $20,000 a year would pay $50 under Bishop's proposal; those earning between $50,000 and $100,000 would pay $200, and people earning more than $500,000 would pay $500. But because the brackets are big, a person earning $500,001 would pay the same tax — and twice the proportion of their income — as someone making $1 million. Another piece of Walker's proposal would set the Permanent Fund dividend at $1,000, the level favored by the Senate majority, instead of the $1,250 favored by the House. The proposal would draw income from Permanent Fund earnings to cover more than half of the state's $2.5 billion deficit. Walker is also proposing that the two chambers adopt a budget reversing Senate cuts to schools and the state university system. And he wants them to accept nearly all the pieces of a Senate oil-tax proposal to cut off future company subsidies while paying off $300 million in outstanding credits — though without the oil tax increases that the House prefers. In a prepared statement, Walker's office said the full package would leave a $300 million deficit. At that size, it could be sustained for years, given that legislative analysts project more than $3 billion to remain in the state's primary savings account, the Constitutional Budget Reserve, at the end of the month.